2012 proves to be a year of achievements for G-Dragon. This time, he earned the recognition of being the Best Dressed Celebrity of the Year. In a poll conducted by the Chosun Ilbo, 25 fashion designers and stylists were asked who they felt were the leading trendsetters of the year. The top 15 advanced to the second round of voting, where the top 10 were decided. 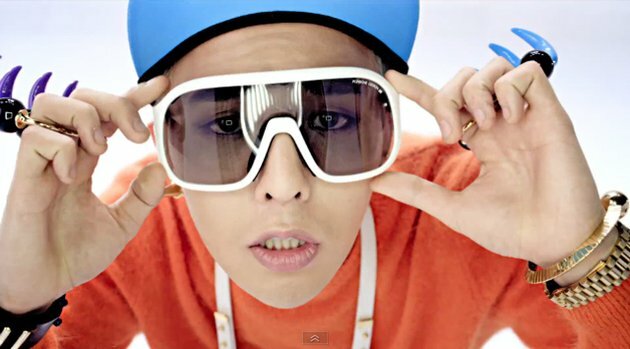 G-Dragon, the leader of world renowned group Big Bang, came first with 10 votes. Establishing himself as a fashionista early in his career, he is known for his wide range of styles, from street fashion to luxury, and is said to be capable of making any piece of clothing his own. In second place is actress Ko Joon Hee, getting six votes for being sophisticated and bold. Experts said that she makes clothes look more beautiful with her well-proportioned body, and she knows how to create her own style without the aid of stylists. Sharing the third spot are actor Song Joong-ki and actress Kim Nam-joo with five votes each. Song looked neat and trim in the film “A Werewolf Boy” and TV drama “The Innocent Man,” which suited his natural and subtly edgy image. Kim, who appeared in KBS soap “My Husband Got a Family”, created a buzz with the clothes she wore to the set. Experts praised her improved fashion sense and attention to detail when matching her clothes to the occasion. Actress Ko So-young, who still appears in commercials for cosmetics, clothing and fashion accessories after childbirth, and actress Jung Ryeo-won, who looked natural in unique outfits on TV drama, shared fifth place with four votes each. Both pay a lot of attention to matching accessories and bags to their body shape and clothes. Actors Gong Yoo and Yoo Ah In, who both worked on TV dramas this year, received three votes each and came in seventh. Both actors love trying on different clothes and know what suits them, both.